Website Monitoring Software is designed to monitor the website performance status in real time as website availability is important for online business. Easily monitors uptime, downtime and ping status of various website at regular interval of time with support of all major internet protocols like HTTP, HTTPS, SMTP, POP3 and FTP. 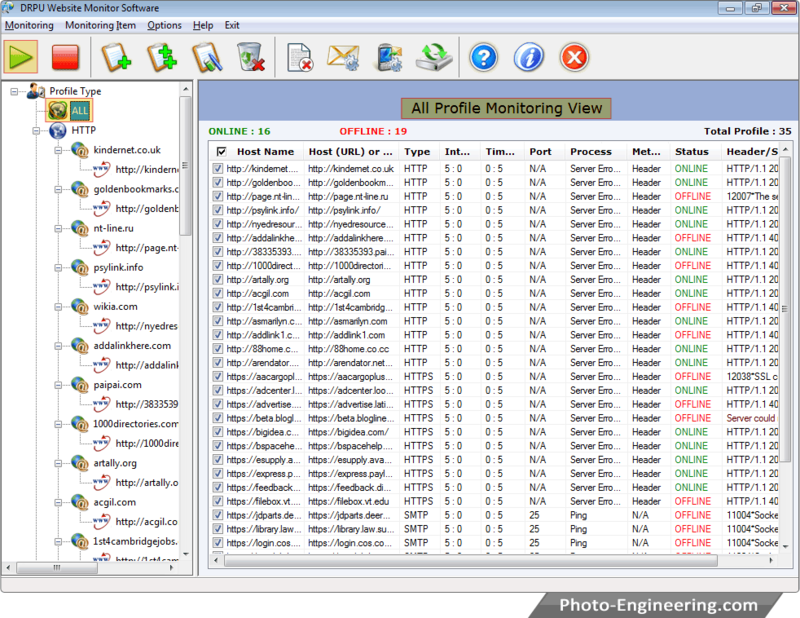 Web site monitoring utility monitors each and every configured website’s. Helpful in managing and providing details of websites status that includes web pages, web server and other crucial information records. Easily monitors the website performance in real time. Support all different server protocols like HTTP, HTTPS, SMTP, POP3 and FTP. Notify users by sending downtime alert notification to the user specified email ID or running any beep/sound or automatically runs a specific program when your website is down or cannot be accessed. Number of website profile can be created and maintained by the user for monitoring. Facilitates user by providing option to the user to switch from main view to monitoring view. The site is not running properly.